Paul O’Hanrahan has recently been awarded his PhD in CLAS, entitled ‘Berlin in English-language Fiction, 1989-2009: Spatial Representation and the Dynamics of Memory’, for which we congratulate him most warmly. Paul has kindly written an accoint of his work for the blog. I was delighted to hear recently that I had been awarded a PhD for my research on the topic of ‘Berlin in English-language Fiction, 1989-2009: Spatial Representation and the Dynamics of Memory’. As you may read in more detail here, it is the culmination of six years of work which began in the Department of Cultures, Languages and Area Studies at the University of Liverpool in 2008. The excitement of this particular area of research was linked to its innovative and inter-disciplinary nature: there is very little scholarship on the representation of Berlin in the English-language, so I felt that here was an opportunity to define a field of study. On the other hand, this presented its own challenges, as I worked in terrain that was illuminated by both Contemporary Literature Studies and German Studies, yet remained to some extent distinct from both. Over the years, I refined a methodology based on genre and spatial memory to engage with the recurrent explorations of the past that dominate English-language Berlin fiction after 1989. I found that the present often conditioned memory in thrillers: the focus of German unification on Berlin in the 1990s and 2000s was refracted variously through the Nazi Berlin of Robert Harris, the post-war ‘rubble Berlin’ of Joseph Kanon or the playful, Weimar-influenced contemporary Berlin imagined by Louise Welsh. Another consequence of the fall of the Wall, was what might be called Britalgia: a specifically British nostalgia for Cold War Berlin in novelists such as Ian McEwan, John le Carré and James Lasdun. In the final chapter of my thesis, I looked more closely at the specific nature of English-language Berlin fiction by exploring its outsider perspective. A degree of detachment is evident in contemporary novels by Chloe Aridjis and Anna Winger: here negotiation of the city is inextricable from confrontations with its past. Distance takes on a spatial dimension for Irish-German author, Hugo Hamilton, who continues to adopt the stance of an outsider on his many fictional returns to the city. I posit that Hamilton’s three, pre-2009, Berlin novels are in themselves a work of memory in that they can be read together as a fictional chronicle of how the city responded to the processes of unification. I am grateful to my supervisors, Dr. Lyn Marven and Professor Charles Forsdick, for their invaluable support throughout this project which was manifested in the form not only of expertise and wisdom, but also of commitment and enthusiasm. I would also like to thank Dr. Andrew Plowman for his substantial contribution over many years and to extend my gratitude to other members of the Department who have given me advice during the course of my research. Tomorrow, 20th May, Professor Alison Fell of the University of Leeds will give the annual Bonnier Lecture. 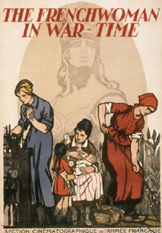 Entitled ‘Remembering French Women and the First World War’, Professor Fell’s lecture promises to be both entertaining and highly informative. It takes place at 4pm in Liverpool University Management School (Seminar Room 5); and while it is free to attend, booking via the online shop is essential. More information about the event can also be found by following the link to the shop. 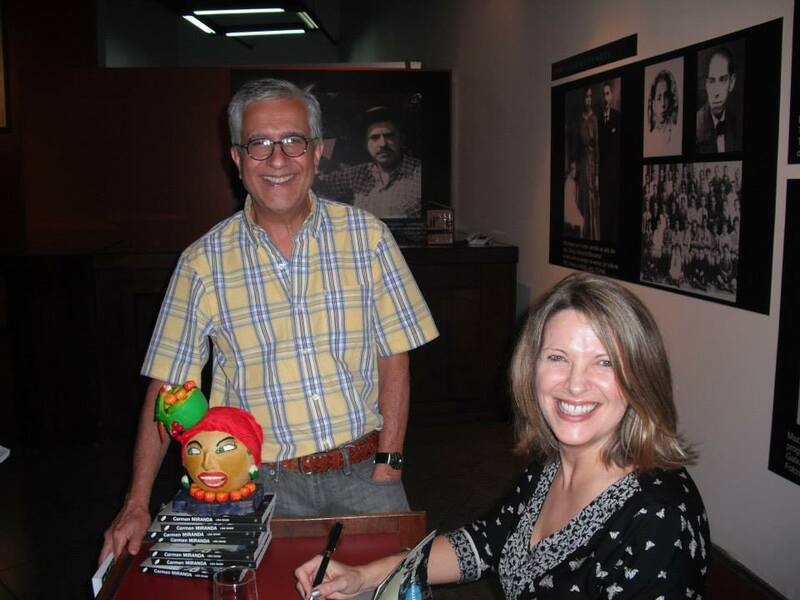 On 8 April Lisa Shaw launched her book Carmen Miranda (BFI/Palgrave Macmillan) at the Centro Cultural dos Correios in the city of Rio de Janeiro. 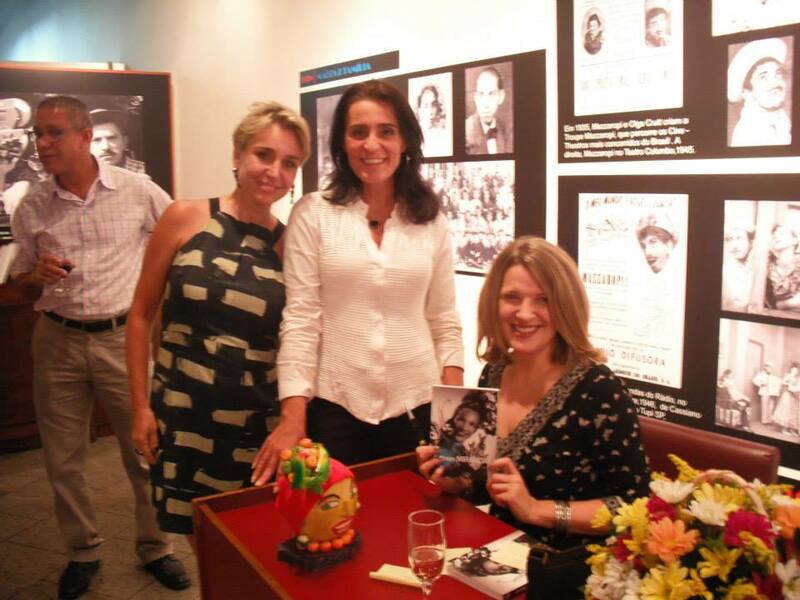 Invited guests included Carmen Miranda’s nieces, Cesar Balbi, the director of the Carmen Miranda Museum in Rio, and colleagues from the Communication Studies department at the Universidade Federal Fluminense, Niteroi, where Lisa has taught. Lisa’s book examines how Miranda made the transition from being the most famous female singer of popular music in Brazil in the 1930s to becoming one of the nation’s leading film stars by the end of the decade. It then considers how her star text shifted with her move to Broadway and subsequently Hollywood in the early 1940s, as she was moulded into an ‘ethnic’ star who nevertheless challenged the cultural straightjacket that she was obliged by the studios to wear. Finally, the book analyses how and why Miranda’s instantly recognisable image, with its ‘exotic’, ‘tropical’ connotations, has proved so enduring. Our warmest congratulations to Lisa on this event! For a review of Lisa’s book by CLAS’s very own Niamh Thornton, link to Niamh’s blog. Congratulations to Kirsty Hart and Catriona Laxton for receiving a DAAD University Summer Language Course Grant in Germany this year! Every year during the summer months, a number of German universities offer a broad range of three- to four-week language courses which focus on literary, cultural, political and economic aspects of contemporary Germany. Extra-curricular activities complement the core material. Eligible are undergraduate students in all disciplines, enrolled full-time at universities in Ireland or the UK. Students need to be able to follow lectures in German and participate in discussions. Minimum language requirements for the UK are A2 for beginners and B1 for students with previous knowledge of German (see Common European Framework of Reference for Languages). The courses applied for must be taught exclusively in German and last a minimum of 18 days. Students in their final year of study may only apply if they are going to undertake postgraduate study immediately following their first degree. The grant awarded is €850 and is intended as a contribution to the course fees and living expenses for a 3-to-4-week summer course. Travel grants are not available. I am Elizabeth and I am currently in the second year of a PhD in Hispanic Studies in CLAS. 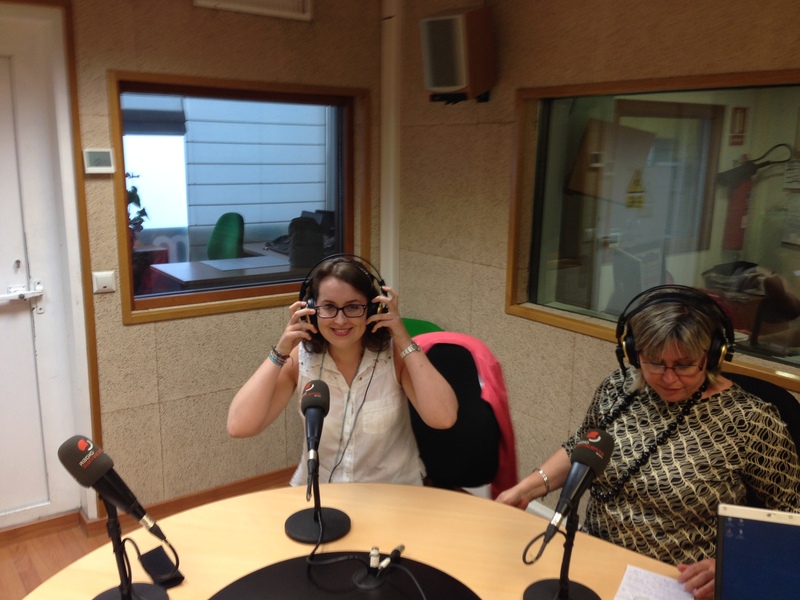 My PhD project examines language policy and efforts to revitalise Valencian in Alicante. My research is not only concerned with the political side of language policy but also the attitudes that people hold towards Valencian and Castilian, and their use of both languages. As such, an essential part of this PhD is the collection of sociolinguistic data from local people. Since January I have been in Alicante conducting interviews in the towns of San Vicente del Raspeig and Villajoyosa. Before embarking on the fieldwork I was concerned that finding people to take part in my study would be difficult. How wrong I was! So far I have interviewed 60 people and collected some valuable data. People have been incredibly helpful and enthusiastic about my project and recommended further research participants. This ‘friend of a friend’ technique has been extremely useful and enabled me to speak to representative sample of the local population. The Department recently hosted a three-day conference entitled “The John Buchanan Masterclass” in partnership with the Esperanto Association of Britain. Delegates from the UK and abroad attended sessions on language, literature and culture catering for both beginners and those familiar with the language. Speaking about the event, Dr Chris Harris, Head of Cultures Languages and Area Studies at Liverpool said “The Masterclass was an intellectual success of the first order. It has demonstrated highly effective collaboration between the University of Liverpool and the international community of Esperantists. In this regard, we must recognise the constantly excellent contributions from Tamara Sabri. The event has also evidenced a significant public engagement with the language and cultures of Esperantism”. The Department is looking forward to hosting future events. CLAS alumnus Dr Bart Miller has published a book about the works of Léon-Gontran Damas in Rodopi’s Francopolyphonies series. The book is based on Bart’s 2012 doctoral thesis, detailed in a previous blog post. 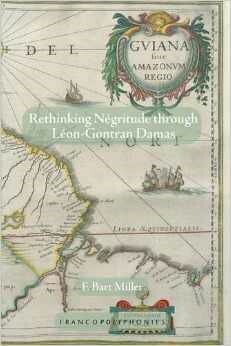 Rethinking Négritude through Léon-Gontran Damas analyses four cases in which Damasian Négritude shifted through generic experimentation: Pigments (1937), Retour de Guyane (1938), Veillées noires (1943) and Black-Label (1956). In doing so, it also advances scholarship on Damas (1912-1978) in two ways. On the one hand, it undertakes the crucial and in-depth research needed to challenge the understanding of Négritude as a bipartite (Césaire and Senghor) phenomenon. On the other hand, it offers an innovative reading of Damas whose work deserves more complete consideration than it has received thus far. Reading this essay will illuminate Damas’s works and their relationship to one another, thus demonstrating the continuity of Damasian Négritude. We offer Bart our warmest congratulations on this excellent achievement.